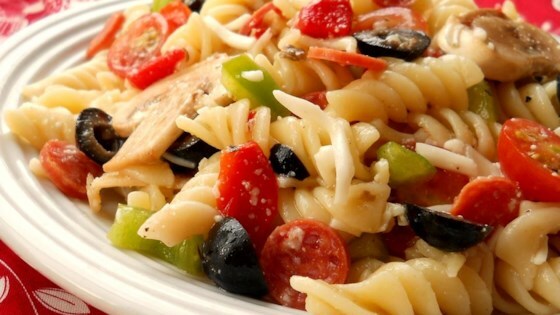 "This pasta salad has all the standard ingredients of a deluxe pizza!" See how to make a tasty tomato and bread salad that’s never soggy. worth making for get togethers. I made it for a few friends that stopped over. it was gone in minutes! I made this salad for a luncheon at work. everybody loved it! very easy!